What’s better than a perfect bluebird ski day? A perfect bluebird ski day fuelled by an unforgettable morning meal! 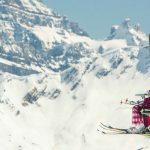 Whether you like your avant-ski feast hot and hearty or light and energising, you’ll find plenty of tempting options in Banff & Lake Louise. Here are a few breakfasts you won’t want to miss. 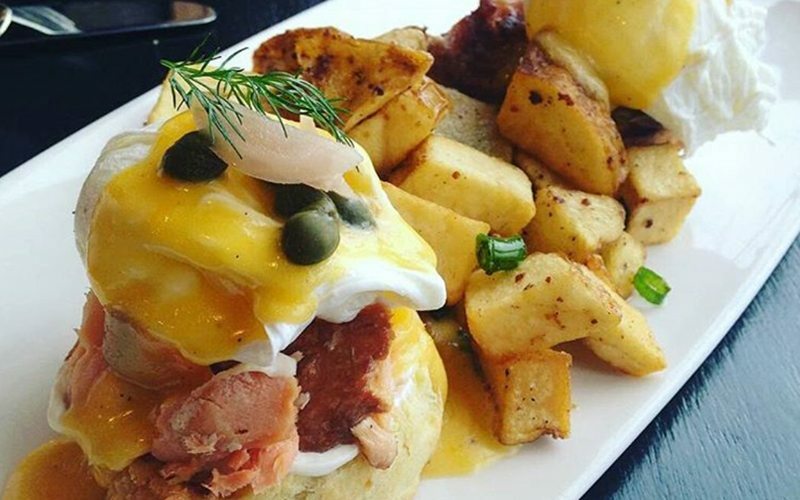 Fuel your ski legs with salmon benny & other delights at Juniper Bistro. Photo: @juniperbanff on Instagram. For exquisite food and mountain views to match, head to the Juniper Hotel & Bistro, located five minutes from downtown Banff, on your way up to Mt Norquay. Insider tip: the apple and brie stuffed brioche French Toast is a guaranteed winner. 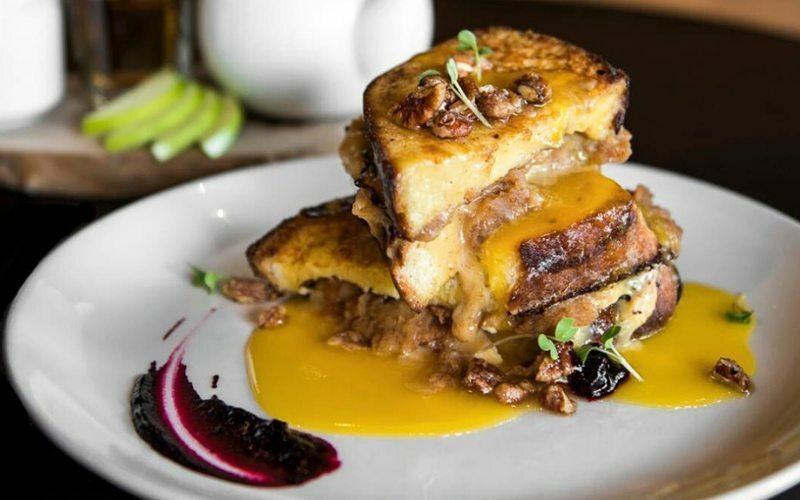 Juniper Bistro's apple and brie stuffed brioche French toast is a delicious way to start your ski day. Photo by @juniperbanff on Instagram. Looking for something extra special? 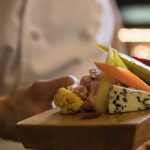 The upscale Bow Valley Grill at Fairmont Banff Springs serves up savoury delights with true Rocky Mountain flare. Insider tip: heartier options include the generous breakfast buffet, tasty tofu ranchero and western-style breakfast with all the trimmings. For something lighter, opt for the delicious apple pie oatmeal or blueberry muffin parfait. On a rest day from skiing? 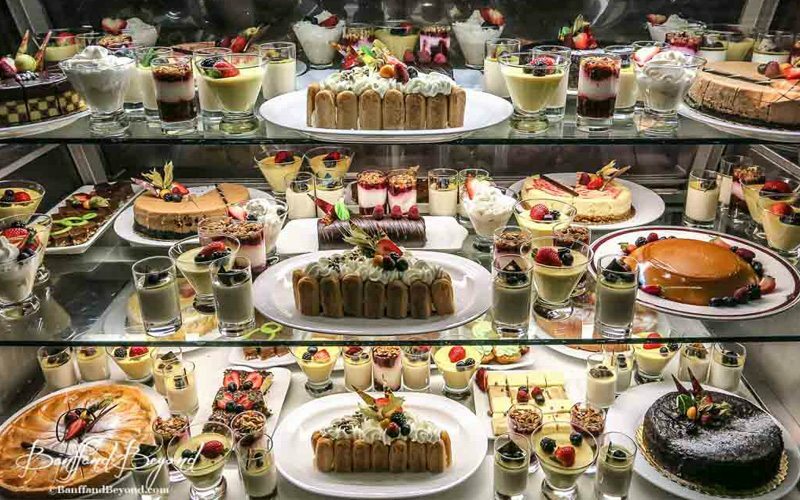 Try the extra special Sunday Brunch for a truly spectacular dining experience. Want some serious variety and a truly unique breakfast experience? Head to Tooloulou’s where you can choose from five pages of breakfast options – the most difficult thing is to decide what to eat! 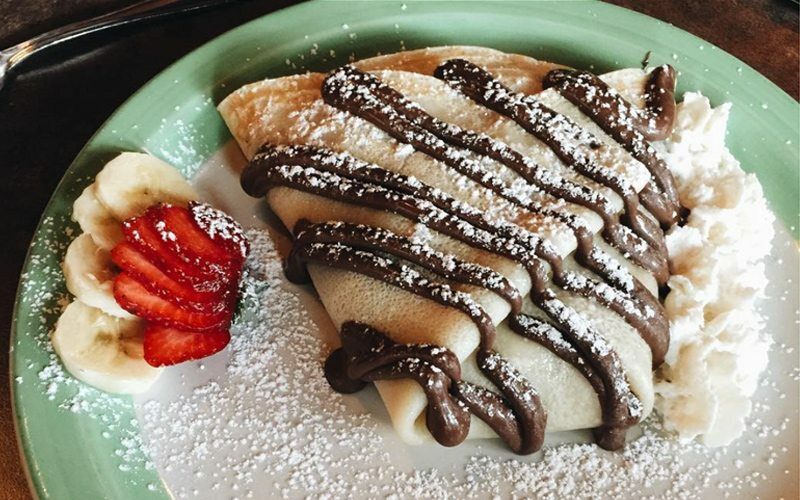 Known for its generous portion sizes and quirky décor, Tooloulou’s is also a great option for families, offering a very affordable children’s menu. 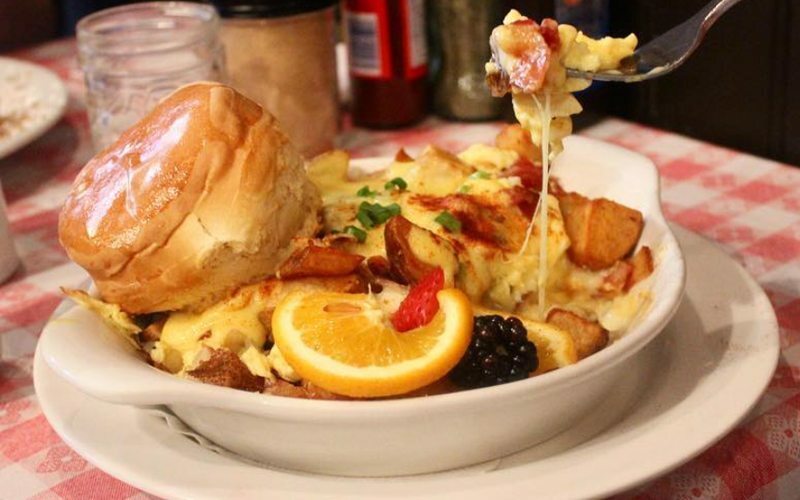 Insider tips: stand-outs include the Cajun and cheese omelette, sweet and spicy breakfast potatoes and a tempting breakfast poutine. You may need to wait for a table here as this cozy spot is a popular one, but it’s well worth the wait. A local breakfast favourite, you won’t leave Coyote’s Southwestern Grill unsatisfied! 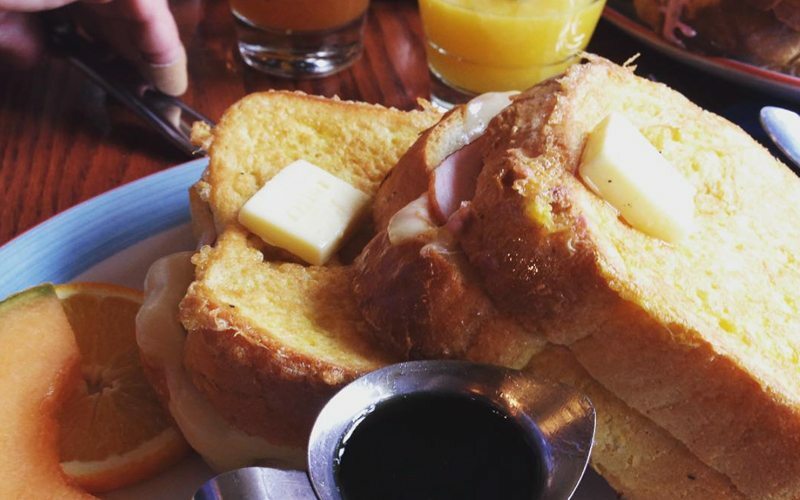 Insider tips: be sure to try the show-stopping stuffed French Toast, featuring stuffed sourdough bread, Quebec maple syrup, and your choice of Canadian back bacon and Swiss cheese, or cream cheese and berries. You also can’t go wrong with the tasty breakfast burrito. Melissa’s Missteak (Mel’s) is the place to be for a tried-and-tested, traditional breakfast perfected over 30 years. Fill your hungry belly and fuel those ski legs with a satisfying selection of grilled breakfast items, sweet morning treats, and non-stop flowing coffee. Insider tip: enjoy 10% off food menu items when you show your SkiBig3 lift ticket – valid daily throughout 2017/18 winter season. 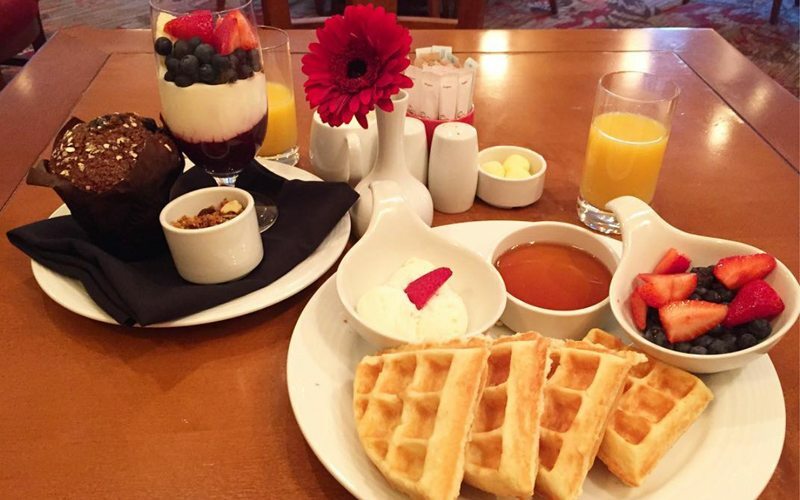 For a mouth-watering morning feast, load up your plate at Lake Louise Inn’s breakfast buffet. Insider tip: head to the waffle station to make your own fresh waffles just how you like them, and don’t forget to try the tasty herbed potatoes. For a so-worth-it morning sugar hit, try a delicious combination of granola, strawberry sauce, dried cranberries, fresh fruit and crunchy nuts to fuel your day. 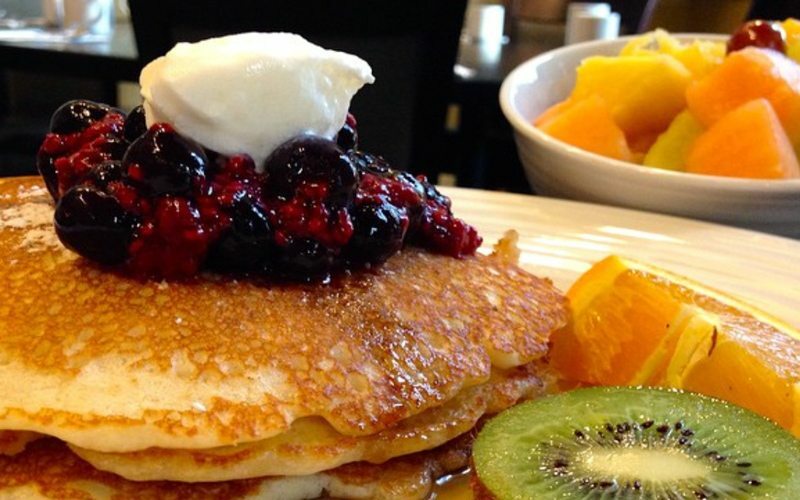 Fuel-up for your Lake Louise ski day with a delicious breakfast buffet. Photo: Lake Louise Inn. Send yourself to breakfast heaven at Poppy Brasserie, nestled within the upscale Fairmont Chateau Lake Louise. Take in the morning light and beautiful views from the grand, expansive windows while enjoying a truly magical meal at this outstanding family breakfast restaurant. Insider tip: time your breakfast with sunrise (around 9am in winter) – the views are truly spectacular at this time of day. Poppy Brasserie's scenic views and delicious breakfasts are guaranteed to please. Photo by @tiffanyclaire91 on Instagram. 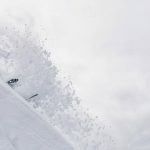 A popular local secret, Bill Peyto’s Café at Hostel International Lake Louise Alpine Centre is known for great breakfasts, generous portions and some of the best value in Lake Louise. 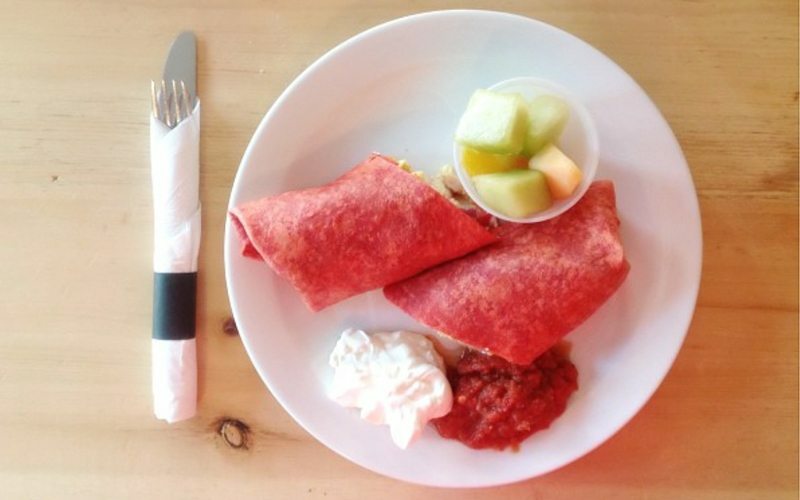 Insider tip: start your ski day with a hearty omelette (served with hash browns and toast) or a tasty tomato burrito. 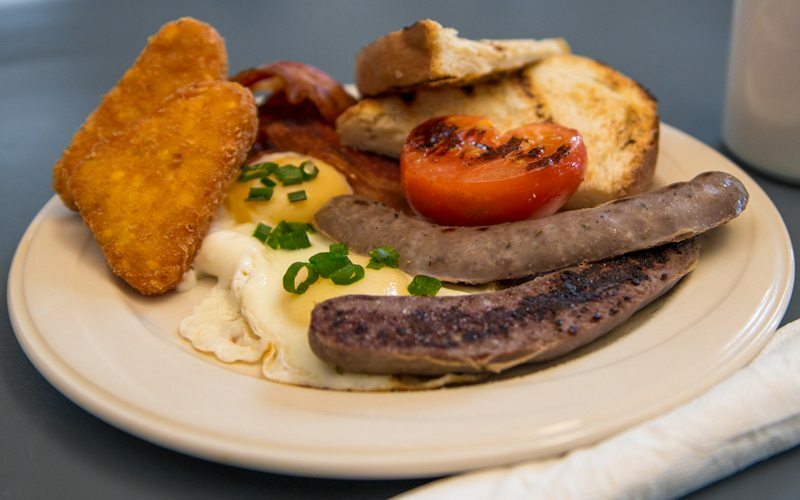 Bill Peyto's Cafe offers affordable and tasty breakfast items. Photo by @cheechingy on Instagram. On the go? Swing by Laggan’s Mountain Bakery & Delicatessen for a great coffee with a side of more-ish baked goods and pastries. Insider tips: for savoury lovers, the pepperoni pizza bagel is not to be missed. If you’re an anything-goes, dessert-for-breakfast kind of person, Laggan’s famous ‘health cookie’ draw travellers from miles around – and it’s prompted multiple requests to be shipped internationally! They’re also a sturdy option to stash in your jacket pocket for an easy on-mountain snack. (And if they really take your fancy, Laggan’s sells packets of the dry cookie mix so you can make them at home). 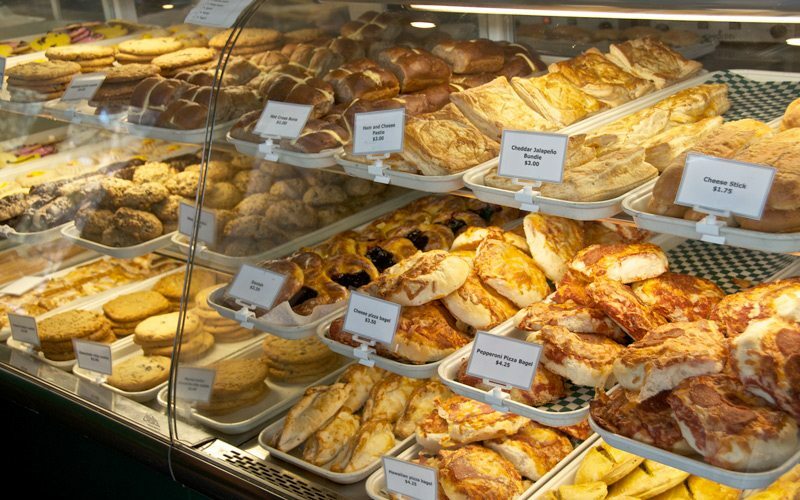 Laggan's offers delicious bakery options for a quick & tasty breakfast on the go. Photo: Laggans.com. 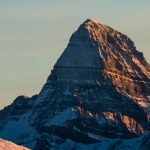 For some great adventure-fuel for your ski day at Lake Louise Ski Resort, fill your hungry belly at the popular on-mountain Northface Bistro. Here you’ll be spoiled for choice with the breakfast buffet – offering nearly every hot and cold morning meal option you could imagine. Insider tip: show your SkiBig3 lift ticket for 15% off the breakfast buffet (offer valid Monday to Friday throughout the 2017/18 winter season). 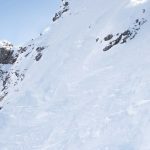 Heading to Sunshine Village? Make your first meal of the day count at Sunshine’s Creekside Bar & Grill. Here you’ll find quick and tasty options that are ideal to power you up for a big day on the slopes. Insider tips: SkiBig3 lift ticket holders enjoy 15% off the full breakfast menu (offer valid daily throughout 2017/18 winter season). At the end of the day, Creekside also offers a great space for après relaxation while waiting for your transportation. 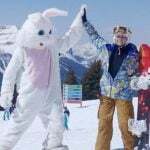 Hitting the slopes at Mt Norquay? Grab a satisfying morning meal on-mountain at the comfortable Cascade Lodge. Here you’ll find an assortment of traditional winter warmers fit for a breakfast feast. Grab a hearty, traditional breakfast on-mountain at Mt Norquay. Photo by Mt Norquay. 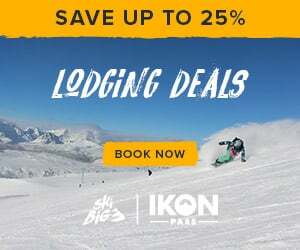 Ready for a ski vacation to remember? How about something GLUTEN FREE? Hi Sandi, we are working on a dedicated blog featuring tips for allergy-friendly food and other special requirements for dining in Banff and Lake Louise. In the meantime, some excellent gluten-free-friendly restaurants include Tooloulou’s, Nourish Bistro, Saltlik Steakhouse, The Bison, The Block Kitchen + Bar, Wild Flour Bakery & Cafe, plus many more. Eateries here are usually very accommodating – if they don’t have designated gluten-free items on their menus, they are usually very happy to provide adapted options that meet guests’ needs. We will let you know when we have published this particular blog post and we hope it will be useful to you!